Are the woods behind St. Bede's Academy really haunted, or does bad stuff just happen there? When Calista Wood, a new student, arrives midway through her junior year, St. Bede's feels like a normal school... until she discovers that a girl had disappeared a couple of months earlier. Some kids think she ran away, others think she was murdered, but it's only when Cally starts digging around that she finds the startling truth. Watch as Cally enters a world of privilege, weekend-long parties, high school romances, and... well-kept secrets. This page-turner will appeal to teens looking for a fast-paced thriller. Written in a voice at once gripping and crystal clear, debut novelist, McCormick Templeman, will take readers on a twisting and turning journey as only a "new girl" can experience. 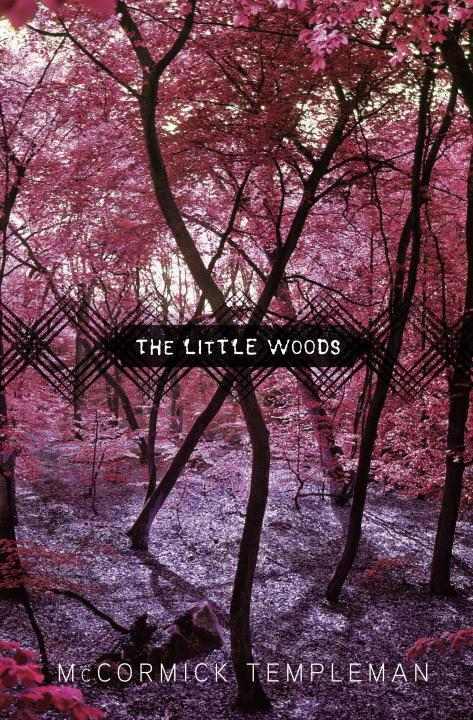 The Little Woods sounds like it's right up my alley and I can't wait to read it! (It's also on NetGalley right now--so I've got my fingers crossed at the moment.) 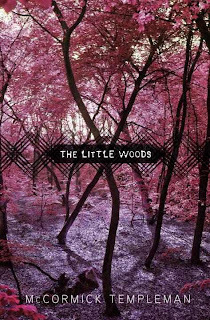 The Little Woods by McCormick Templeman is published by Schwartz & Wade, a part of Random House, and its expected publication date is July 10, 2012. So, what are you waiting on this week? I am excited for this one also. It sounds so good and I love the cover! Great choice! Oh wow this does sound like a good one, I'll have to add it to my list! Thanks for sharing! oh this one sounds delicious! must hope over to NetGalley and request it! thanks for pointing it out! My WOW, plus if you are a middle grade lover, be sure to check out my giveaway for a signed copy of NEVERSINK! I'm having a very hard time not to request it (still have to read so many NetGalley-books), but it sounds oh-so-awesome. Great pick! I think I requested this- look so creepy and good! I love the cover too- woods are so pretty! Ok, you've caught my attention and I may or may not be logging into Netgalley as we speak! ;D Seriously awesome pick it sounds like the kind of book that is going to grab you from the first page and not let you go! You can check out my WoW for this week at the link below-- Happy Reading! I have recently discovered this one. I will be giving it a try. Great pick for a WOW. Love the sound of this one, and the toned-down cover (good for all ages!). I always am a little hesitant about books branded 'thriller,' but I think I could get into this. Nice pick! YES. >:D I love boarding school stories when they're done well, and this one sounds incredibly creepy and awesome. I also love the cover, though it's very simple. I'd request this on Edelweiss, but . . . I promised myself I wouldn't request more. I PROMISED. I requested this in Netgalley, too, hopefully I get to read this! :) Thanks for sharing!